We just loved the florals on the Ryan suite. The illustrations were hand drawn and painted with watercolor before being turned into digital prints. 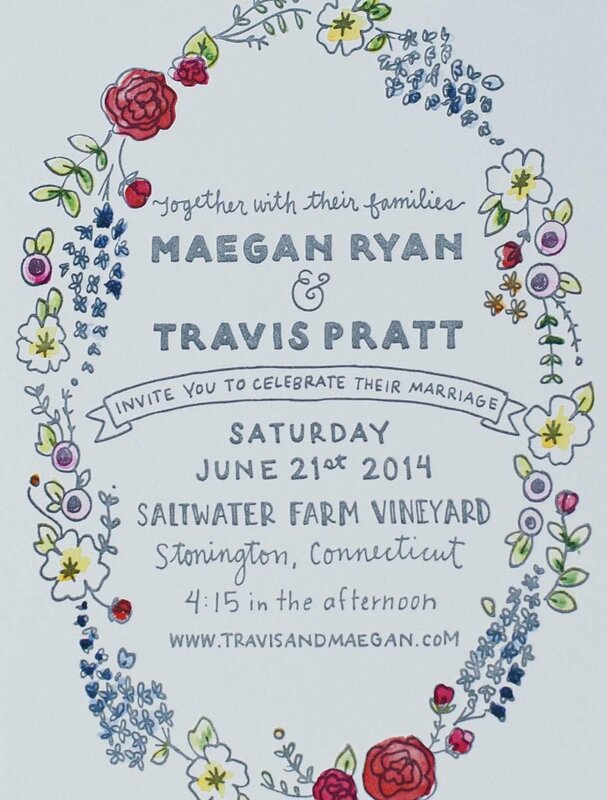 Digitally printing watercolor is the best way to get a full range of color on your invitation suite. This suite features all hand lettering but could also be customized with a mix of fonts. Click here to see different ways we've incorporated florals into invitations.